We started the Sunday Spread last week, but unfortunately there was no time to get the cards out and write about them yesterday! So instead, we will do it today. We are still at the beginning of the week – my calendar starts on a Monday – so I think we’re safe. So let’s begin. 1, 2 or 3? Which feels right to you? The most popular option was number two. So below, we will reveal the card, and look into what it means for the week ahead. Number two is The Emperor card. This card represents a ‘fatherly figure’, and you may well be taking on that role regardless of your gender. It is said that this applies to providing for your family and protecting them inside and outside the home. You are perhaps the ‘breadwinner’ at home, the one who is working, or earning the most amount of income. You may also be seen as an emotional rock for someone – offering unconditional support emotionally. You may also be seen as a leader, or be in a managerial role at work. As a leader, you are seen to rule with a firm but fair hand. You enjoy being in a position of authority, and giving instructions to others. This being drawn for a weekly card refers to a situation involving rules and regulations. You can create calm out of chaos by breaking down a situation into smaller, more manageable chunks. Be sure to stick with a strategy you are following in order to get things done and see it out until the end. If you have gained experience through your life, now is a great time to pass it on through advice, teaching or other methods close to your skills. 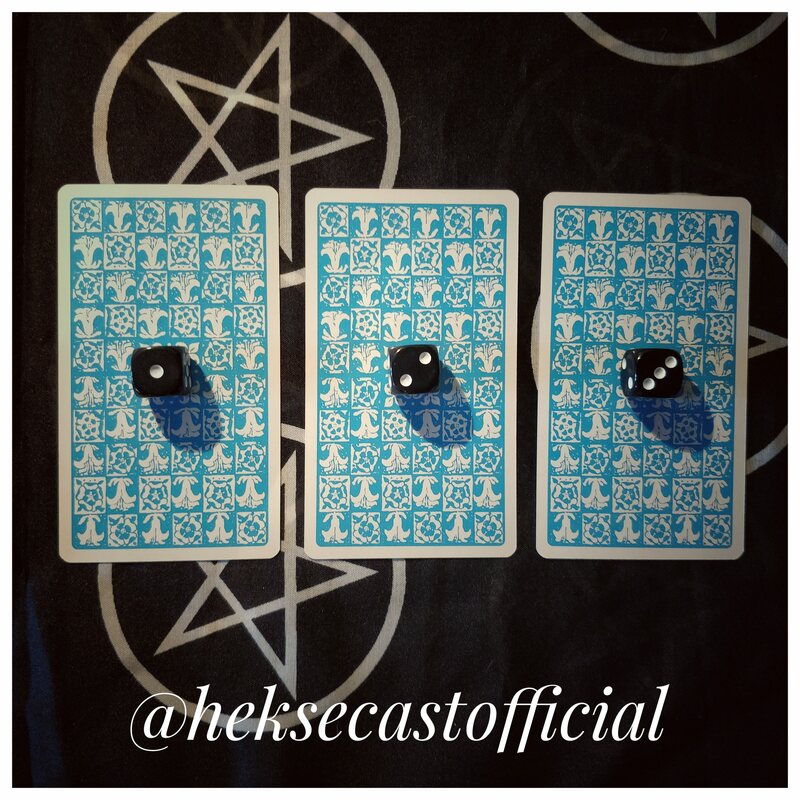 The other two cards meanings are below. It is interesting how The Emperor was the most popular card chosen! This card suggests that a new idea or an opportunity has come to you out of nowhere. Your creative energy is flowing, and now is the time to seize it and make something of it – if you so choose. 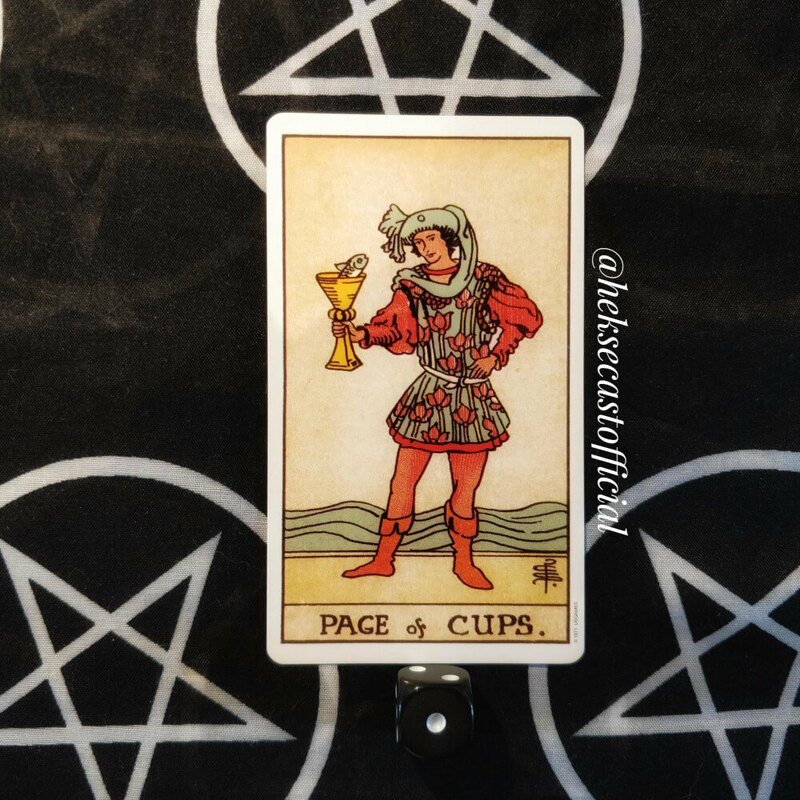 The Page of Cups teaches you to keep an open and fair mind when approaching new and old opportunities. Be sure to stay curious and explore things which catch your eye. As is seen in this card, there is a fish popping out of the cup the page is holding – be curious even about this! This card is often found when it is necessary for you to listen to and follow your instincts. The messages and ideas which you are drawn to may come from completely unexpected places – like a fish from a cup – but go with the flow and see what lies ahead. 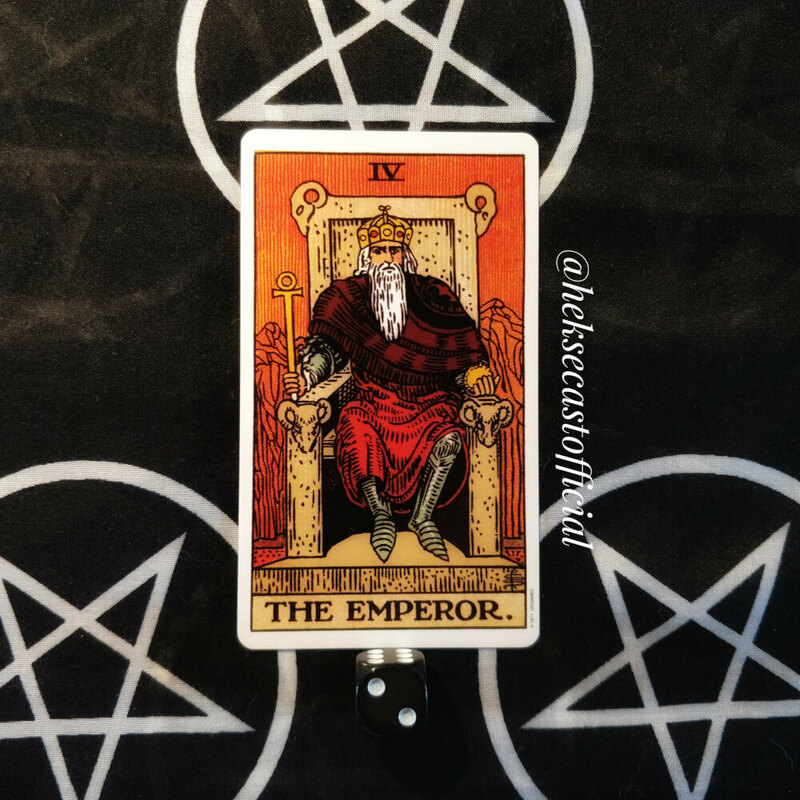 Taking it down to the core, rudimentary meanings – this card may indicate you are in for an unexpected pleasant surprise in your life or related to you. It will usually be a surprise related to emotions or relatonships, as the suit of cups is related to emotions and feelings. Just know that you cannot force this surprise. It will happen when it needs to happen. This card shows a person resting as though they are a statue. There are three swords hanging on the wall in the background behind them, and one sword is positioned next to them. Take a rest before you are focused on trying again. 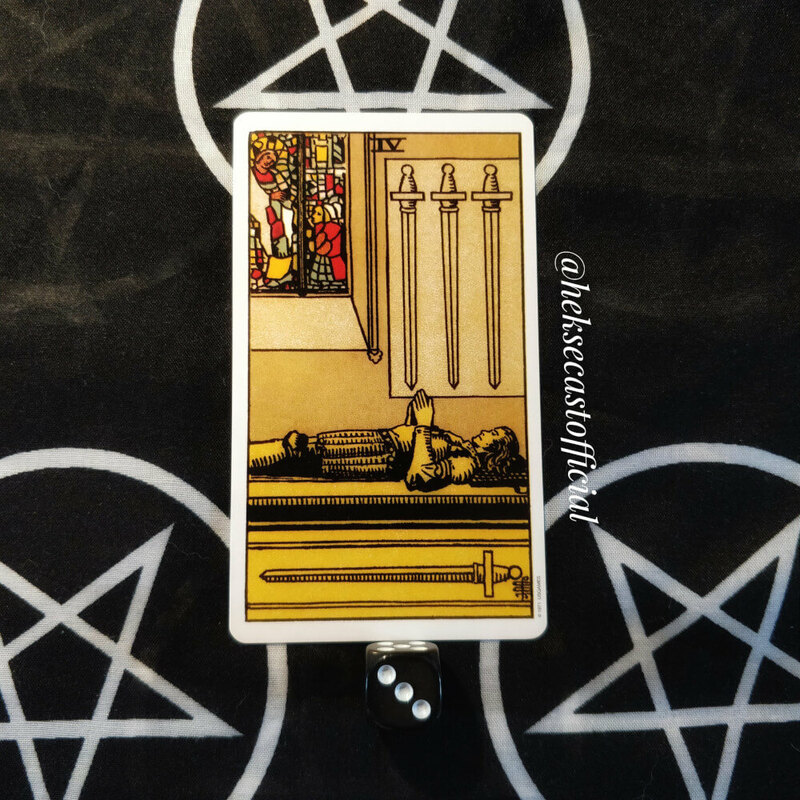 If you have just undertaken a huge milestone, this card is telling you to take a step back and rest before you undertake a new task, or another part of the task you are currently completing. The constant pressure of stress or tension can make even the hardest of us break – this is why we get holiday leave in an annual year! We are not built to be constantly slaving away at the same thing all the time. This card may be telling you to take a break from what you are doing in order to rebalance and find yourself. It can also be related to gathering yourself together after a life event, such as a death in your family or friend group, perhaps a break-up or the loss of a job. Take a step back from things and regain your perspective. Now is not the time to take those big decisions you may have been worrying about or what to undertake. The person laying down is also in seclusion. They are alone and gathering their strength. Perhaps now is the time to start using the meditation app you downloaded months ago but never got around to setting up? Or perhaps you just need time to think, relax and be yourself away from life’s stresses and strains. You can also use this period of time to reflect on how far you have come. If you are working on a project, assess what has been completed, and what needs to be done for that project to be finished. It’s a great time for inner reflection and figuring out the next step solidly before you take the leap. So which card were you drawn to? Are the energies something you can harness this week in order to get things done? Let us know!